In 2013, and whilst still at school, Jaydon was introduced to ‘Building Lives Foundation’, which ran training programmes in London to help prepare young people for careers in construction. Jaydon’s final academic year included learning about multi-trade skills within a classroom environment, and it was here that Jaydon showed a desire for carpentry. 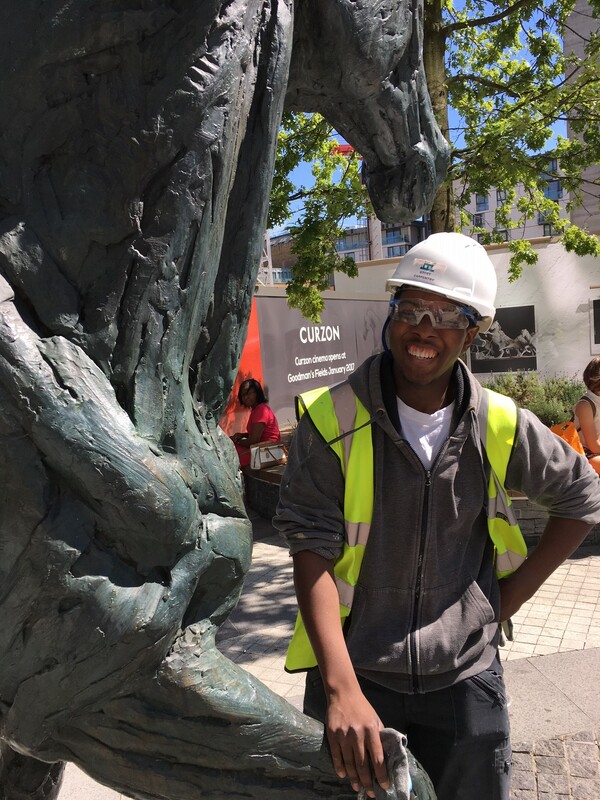 In November 2014, after leaving school, Jaydon began a carpentry placement through Lendlease at Trafalgar Place, Elephant & Castle and was introduced to J A Stott Carpentry Ltd (JAS). Still attending the ‘Building Lives’ training workshops two days a week, Jaydon worked alongside our carpenters with joinery installations onsite for the other three days. Jaydon showed us his dedication to work and learning, so in December 2014 we transferred him to our Berkeley Homes project at Goodmans Fields to work closely with a number of carpenters with a larger range of installation types such as ranges of doorsets and architraves, acoustic flooring, laminate flooring, bathroom boxings, skirtings, bathroom fixings and door ironmongery. Early 2015 saw the government funding for Building Lives withdrawn and Jaydon’s placement was compromised, which is where we stepped in and took him on direct. We offered Jaydon a full contract in April 2015, and arranged his college placement at Lewisham College to study NVQ Level 2 in Carpentry & Joinery. “I feel that JAS have treated me very fairly. John Kane, Clive Godfrey and Darius Piliukaitis gave me the opportunity to stay at work when Building Lives ended. I enjoy my work and look to have NVQ L3 Carpentry & Joinery, working towards a site supervision role within the next three years”.